A thorough assessment of the evidence that has shaped our dietary advice over the last century. You cannot miss out on this read if you want to avoid chronic diseases, reverse diabetes and metabolic disorder/heart disease. 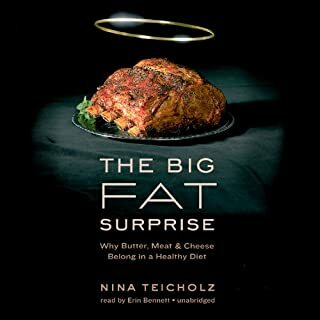 Hear the evidence yourself and STOP FEARING SATURATED FAT. I see the results of the standard North American diet in my treatment chair everyday. I practice Podiatry. Current guidelines are not improving outcomes. People are getting sicker. It is time for us to go back to our (now) science based traditional foods and get away from modern dogma based seed oils and carbohydrates.